“The Long Goodbye” is a film in 1973, which was critically acclaimed as a story of humans’ morality in a self-obsessed society. Not being a scientific film, it however comprises few murder scenes and forensic investigation, which provide us with very good examples to study and perform analysis with our knowledge. The story consists of two concurrent story threads, which first appear to be unrelated, but generally become connected by the stories end. It began with a night when private investigator Philip Marlowe (the main character) was visited by his close friend, Terry Lennox, who asked for a drive to Mexico border at Tijuana. Philip was convinced that Terry was in a fight with his wife, Sylvia, and agreed to help. However, he later discovered that Lennox was wanted by police and being accused of murder of his wife. Having refused to co-operate and provide any information, Marlowe was arrested as an accomplice. However, three days later, he was released after it was found that Lennox had committed suicide. The case was closed with Lennox’s death. The story continued with another story thread which Eileen Wade hired Marlowe to find her missing husband. Her husband, Roger Wade, was an author with drinking problems. He had disappeared on previous occasions, usually to rehab institutions, but not this time. Marlowe took the case and surprisingly discovered the relationship between the Wade couple and Lennox couple throughout the search. The suspicious connection and clues motivated Marlowe to find out the truth behind the death of Lennox couple. He started to conduct a thorough investigation. To obtain more information and prove Lennox’s innocence, Marlowe encountered a doctor, a gangster boss and a guard. He followed the leads, but more and more signs of suspicion were disclosed. Integrating pieces and pieces of puzzles, he finally discovered that Lennox had faked his death to cover his murder and possession of dirty money. Being used and betrayed by his best friend, Marlowe shot Lennox by himself at the end of the story. With Lennox’s death, evidences were collected for examination and documentation by the police force. Black and white photographs of crime scene were taken to record essential information or clues, condition and position of the dead body, possible weapons and other physical evidences were recorded. Fingerprints were also collected in the crime scene of Lennox’s death for further identification and comparison. They contain individual characteristics, the identity of the dead body and those who had access to the crime scene can be distinguished and known. Meanwhile, the gun used in the Lennox’s suicidal death was claimed to be retrieved. It was found to be registered under Lennox’s name which proved a possible suicide. Further examinations can be conducted to determine whether the weapon was connected to the death of Lennox. 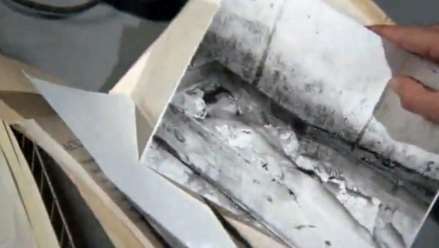 The physical evidences were further sent to examine with different techniques. Moving on to the techniques, autopsy examination and gun tracing were employed to investigate Terry Lennox’s suicidal ‘death’. Results concluded that Terry’s death was instantaneous by a gunshot triggered by a gun registered under his name. Should the investigation be free from bribery and bureaucracy, a forged harmless gun wound should not fool the coroner. Subsequent specimen analysis should reveal a high degree of intoxication through Terry’s injection of drugs to fake his death. A toxicology examination should thereby be carried out to determine the kind and type of drug that caused his ‘death’. An autopsy is a medical examination carried out on both external and internal surfaces of a dead body, to determine the cause of death and what caused the death. It is performed when someone dies suddenly and unexpectedly while in apparently good health. Thus, Terry’s instantaneous and suspicious death would surely be subjected to further autopsy investigation by a coroner. After proving the gun wound fake, Terry’s high degree of intoxication should deem suspicious enough for a toxicological analysis by a pathologist to confirm his cause of death. Fingerprinting is carried out before any autopsy analysis of the dead body, for identification and the matching of the fingerprints found on weapons and other physical evidence. The method adopted in this process depends primarily on the condition of the dead body. If the body is in poor condition, like Terry’s body which has been soaked in water, fingerprints have to be recovered through first ‘degloving’ and removing the finger skin, placing them on the fingertip of one operator. Powdering will then be applied to the prints to enable their transpose onto paper for record and future comparison. After fingerprinting the body, the coroner will carry out systematic external examination of the body in terms of these few aspects. The gunshot wound found on Terry’s body will therefore lie in the second category as a recent wound that directly contributed his death. However, had the coroner be free from bribery, he should be able to distinguish it as a harmless forged wound. This abnormality should create enough suspicion for internal examination to determine his real cause of death. To reveal Terry’s high degree of intoxication, pathologists are responsible for collecting a variety of biological specimen necessary for toxicology tests. Conventional biological specimen includes blood, vitreous humour, urine, stomach and liver contents, which will be sent to toxicology laboratories for separation, identification and quantification. Lethality and toxicity in the concentration of drug molecules will thus serve as a determinant of one’s cause of death. Gun ownership tracing has also been used to determine the ownership of the gun, which is suspected to be the weapon that directly caused Terry’s ‘death’. By tracing the serial number and registration record, the police officers confirmed that the gun is registered under Terry’s name in the counter of Los Angeles, thus, rendering Terry’s case as suicidal death. ii) Urine – Levine (2006) mentions that most of the drugs and metabolites will still remain in a relatively higher concentration and for a longer period in urine than in blood. Therefore, it is important to collect all the urine available from the specimen for analysis. iii) Vitreous Humor – According to TIAFT, vitreous humor is a biological fluid that can be collected from the lens of the eye. Drummer (2002) mentions that it has a desirable characteristic of being so stable that can be more resistant to any putrefactive changes than other specimens. Therefore, for a better analysis, if possible, it is suggested that all vitreous fluid should be collected from each eye (Levine, 2006). Apart from the above specimens, others specimens including gastric contents, bile, cerebrospinal fluid, tissues (liver, lung) are also needed to collected for further testing. Limitations: Time is a major problem. It is important that all the specimens are collected as fast as possible being put in separate containers for accurate analysis. For most specimens, Skopp (2004) suggests disposable hard plastic or glass tubes should be used for the storage of specimens. Also, Flanagan, Connally and Evans (2005) suggest that samples should be stored at a maximum of 4ºC when being analyzed after autopsy, if not, they should be stored at -20ºC. According to Fitzgerald, Rivera and Herold (2010), most of the drugs molecules cannot be distinguished directly through the post-mortem specimens, thus they have to be separated from the biological matrix before they undergo the toxicology analysis. For the separation, there are few steps. Firstly, the specimens need to undergo heating at 60 – 80 degrees in a sealed container. Secondly, it is the protein precipitation that we need to concentrate the proteins and purify them from various contaminants. Then, it is the liquid-liquid extraction. Sapkale, Patil, Surwase and Bhatbhage (2010) mention that this process is used to “separate compounds based on their relative solubility in two different immiscible liquids, usually water and an organic solvent”. After that, the analysts can be identified and quantified by techniques, such as spectrophotometry, chromatography and immunoassay. According to Watson (2008), she states that color tests can able to test an unknown drug with a chemical or mixture of chemicals. Therefore, the change of the colour of the test substance can help find out the type of the drug it belongs to (See Table 1). Drugs like Heroin, Morphine, Cocaine, Barbiturates and Marijuana can be screened by the color test. Other drug tests include ultraviolet spectrophotometry is used to identify other drug classes. Wilkinson, Dale, Wayne and Martin (2002) mention that ultraviolent spectrophotometry can analyzes “how the substance reacts to ultraviolet (UV) and infrared (IR) light.” The spectrophotometry machine will emit UV and IR rays, and then it will measure how the sample reflects or absorbs these rays so as to identify what type of substance is present in it (Watson, 2008). According to Pervez (2001), this technique is widely used because “it can distinguish the presence of a certain chemical in a highly complex mixture.” There are 2 types of chromatography, including Gas Chromatography (GC) and Liquid Chromatography (LC). GC is usually used to identify volatile toxicants and those that contain carbon, hydrogen, nitrogen, and halogen-carrying molecules. Comparing with spectrophotometry, Pervez (2001) also mentions that GC is a highly sensitive toxicology test, which is good at identifying the drug molecule. For liquid chromatography (LC), it is used to identify non-volatile and/or thermally labile toxicants. According to ImmunoChemisty Technologies, LLC, immunoassays are “quick and accurate tests that can be used onsite and in the laboratory to detect specific molecules”. It also mentions that it is dependent on the inherent ability of an antibody to “bind to the specific structure of a molecule” so as to detect the presence of drugs in the specimen. Analysts in biological liquids like serum or urine are frequently measured using this method for medical and research purposes. 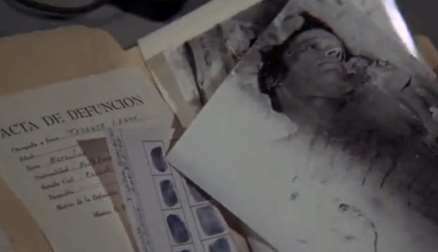 In the film, Lennox fakes his death by drug injection and bribing the policeman (who acts as the coroner too), who, interesting, simply takes photos of the dead body and announces his death of intoxication, without any surgical procedure to determine and evaluate the cause and manner of the Lennox’s “death”. But it is quite a mismatch in reality since: 1) bribing not only one policeman, but all the police, coroners and other all officers to fake one’s death sounds unreasonable and impossible. Moreover, according to Laws of Hong Kong, medicate practitioner shall provide certificate where cause of death of certain deceased should be clearly stated with proof. 2) Forensic toxicology for autopsy was widely used (even already available in 1970s). That means in the film, coroners should carry out drug test to further obtain and interpret the cause of death. As for tracking gun ownership, according to Laws of Hong Kong, no person shall possess any firearms or ammunition unless one holds a license for possession of such items. So we should look into the situation in other countries, for example, the U.S. where the murder case happens in the film. While the Gun laws nowadays in the United States are dependent on different states, they require owners – including sellers and buyers to have specific license to possess firearms. In crime science investigation, these license for sure are used to trace the registration and ownership of guns. Instead of saying it as a ‘mismatch’, it, as similar to the ways in the movie, is still a very useful way in nowadays to solve crimes. By investigating this film, we have examined the use of autopsy examination and tracking gun ownership, which are used in the movie. We address forensic toxicology in autopsy like Spectrophotometry, Chromatography and Immunoassay in detail. Finally we come to a conclusion that faked death is almost impossible to happen nowadays in reality, but tracking gun ownership is still made possible and useful nowadays. Beauthier, J.-P., LefeÌ€vre, P., & De Valck, E. (2011). Autopsy and Identification Techniques. In N.-A. M. (Ed. ), The Tsunami Threat – Research and Technology. InTech. Drummer OH and Gerostamoulos J (2002) Ther. Drug Monit. Flanagan RJ, Connally G, and Evans JM (2005) Toxicol. Rev. 24:63-71. Levine B (2006) Principles of Forensic Toxicology. American Association for Clinical Chemistry, Washington, DC. Skopp G (2004) Forensic Sci. Society of Forensic Toxicologists/American Academy of Forensic Sciences. Forensic Toxicology Laboratory Guidelines. (2006).Retrieved April 24, 2014, from www.soft-tox.org. Valdes, R. (2004, August 03). “How Autopsies Work”, HowStuffWorks.com. Wilkinson, Dale, Wayne and Martin, (2002). “Physics and Forensics: Synchotron Radiation is helping to Identify Tiny Amounts of Paint, Drugs, and Fibers Found at Crime Scenes.” Physics World. Sapkale, Patil, Surwase and Bhatbhage (2010). SUPERCRITICAL FLUID EXTRACTION. Sadguru Publication. "Autopsy Examination and Tracking Gun Ownership." UKEssays.com. 11 2018. All Answers Ltd. 04 2019 <https://www.ukessays.com/essays/sciences/autopsy-examination-tracking-gun-7647.php?vref=1>. "Autopsy Examination and Tracking Gun Ownership." All Answers Ltd. ukessays.com, November 2018. Web. 22 April 2019. <https://www.ukessays.com/essays/sciences/autopsy-examination-tracking-gun-7647.php?vref=1>. UKEssays. November 2018. Autopsy Examination and Tracking Gun Ownership. [online]. Available from: https://www.ukessays.com/essays/sciences/autopsy-examination-tracking-gun-7647.php?vref=1 [Accessed 22 April 2019]. UKEssays. Autopsy Examination and Tracking Gun Ownership [Internet]. November 2018. [Accessed 22 April 2019]; Available from: https://www.ukessays.com/essays/sciences/autopsy-examination-tracking-gun-7647.php?vref=1.